I have to admit that my birth story is really rather uneventful. We handled things as we usually do, making inappropriate jokes and pain pills instead of wine. I like to think that I earned my easy-ish delivery after my ridiculous pregnancy, but in all reality, I owe it to an amazing doctor and the worlds best spinal block. I was in pre-term labor from 34 weeks until 36 weeks. I was hospitalized for 5 days and then on bed rest for 10 days in order to keep my bun cooking. I swallowed handfuls of drugs - some fun, some definitely not - and was in complete and total pain thanks to the extreme Frank Breach position that my babe loved to wallow around in. 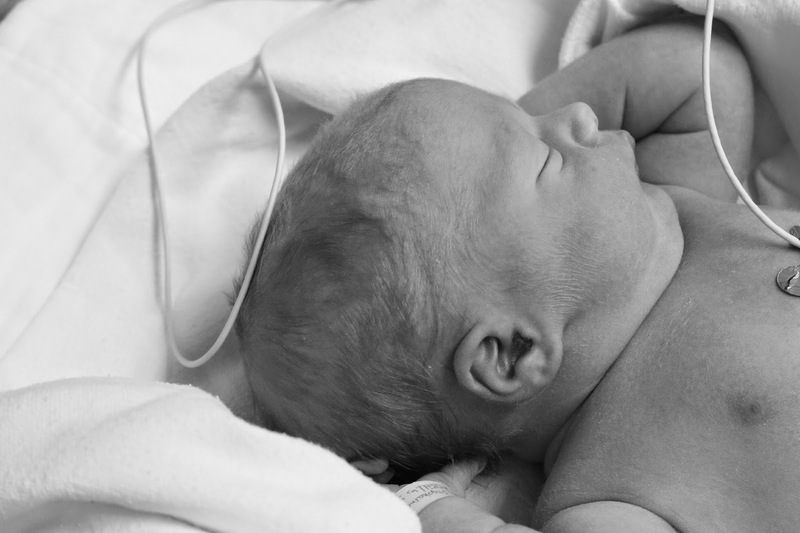 With his head wedged under my left rib cage and his heels running upping down my right rib cage, we knew that our babe was going to have to be delivered by C Section. At 36 weeks I stopped taking the meds and waited for the labor to begin again. Because my kid likes to give me crap, he decided to stop all of his pre term labor shenanigans the second he was cleared to make his appearance. I promise to never let him forget that. I spent two weeks waiting around, thinking every twinge was pre term labor, begging my doctor to induce me, taking whatever pain pills they would give me and crying a lot. It was ugly. At 12:30 am the day I hit 38 weeks I woke up to shuffle to the bathroom for my 98th trip of the day. As I was trying to lasso my undies back up my legs without being able to see them, I felt and heard a loud pop. Gross. And then it happened. My water broke. Just like in the move "Coneheads". If you are too young to get that reference, then I really don't know what to say. I sat there, grateful that I wasn't in bed or Target (the only two places I had been in the last two weeks) and waited for the situation to subside. I stood up, hustled to my bedside table to grab my phone and then back to the bathroom to call the doctor. I would spend the next 10 minutes or so debating how to get back to my bedroom and wake up my husband without leaking fluid on our new runner. By the time I decided that a towel and a shuffle were my only method of moving from one room to the other, I had a grip on the situation. I will say that I never panicked - instead I was so damn relieved that I had a labor symptom that was a sure fire way to get that baby out of me that I was completely calm. It most certainly helped that I knew my doctor's on call schedule and knew he was working, we knew the hospital like the back of our hand and knew half of the nurses on staff. I woke Justin up by saying, "do you want to go meet baby Gray?" and he smiled and rolled out of bed. No stress, no fuss, just lots of amniotic fluid. We made it to the hospital around 1am (I won't lie, I stopped to put on make up. I knew it was my last shot for a while) where we signed some papers, leaked some more fluid in registration and made our way to L&D. 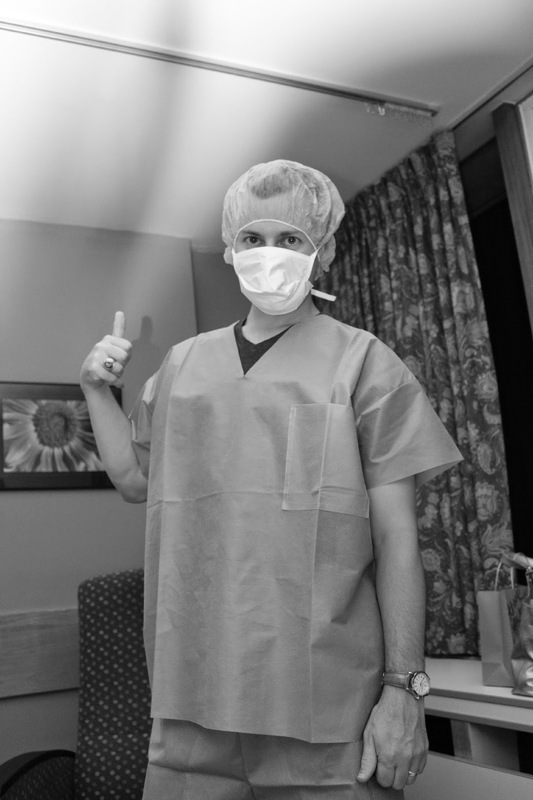 Believe it or not, our doctor made it to our hospital room about 10 minutes later, scrubbed up and ready to go. I got gowned up, a new IV right in the sore spot from the previous run to l&d and experienced a few other medical procedures that were less than fun. Please note how high my weird bump is. That would be my unborn baby trying to break my ribs from the inside. He's sweet like that. Justin and I were so calm through the whole prep process and looking back, I have to say how impressed I am that we handled it so well. We had a few scares that required racing my hospital bed into a delivery room so this all seemed slow and easy. I was wheeled into the OR, was given the best spinal block to ever be administered and joked my way through my C Section. I know it's hard to believe, but massive abdominal surgery was the least pain I had been in for months. And, just like that, our babe was delivered at 2:41 am, a quick 2 hours after my water broke. He was blonde, blue eyed and had bright pink skin - cleared by NICU and screaming just seconds after delivery. He clocked in at 8lbs 6oz a full two weeks early and had the craziest breech baby legs of all time. We did have a scare with his blood sugars after he was born but the pediatricians and nurses were patient, kind and attentive. Luckily, I was on the operating table getting put back together during most of the drama so I was unaware - Justin was put to the test pretty early in his parenting career and passed with flying colors, authorizing the medical team to do exactly what I would have wanted them to do to keep our son healthy. 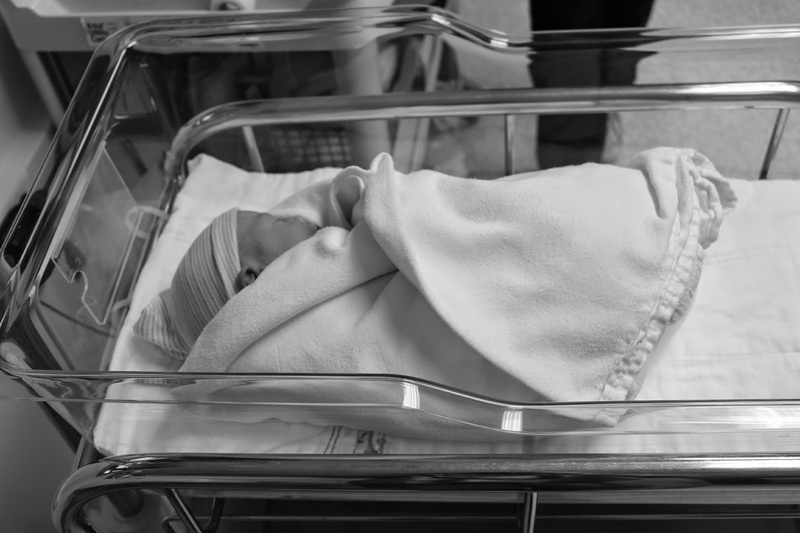 After an extended stay in the new born nursery, baby Gray was finally brought to me for the first time just as I was being cleared to leave the surgical unit. I will never forget the moment Justin wheeled our son into that weird little OR recovery room and handed him to me. I had really started to panic that the baby and Justin hadn't been brought into my reovery area yet. I could move my legs and toes again and knew that it had been at least an hour since the baby was born. The nurses would occasionally say something like "oh, the baby needed a teensy bit a formula and so your husband is feeding him" to explain their absence but it wasn't until hours later that I learned that he had suffered two massive blood sugar crashes and the doctors had in fact sent Justin on an errand to move our stuff to clear him out of the nursery so they could attend to Gray. I also remember thinking how damn tired I was. And I had no idea how round my face was. Hello, fluid retention. My husband awed me from the moment he held our baby for the first time. He was confident and capable with our boy. 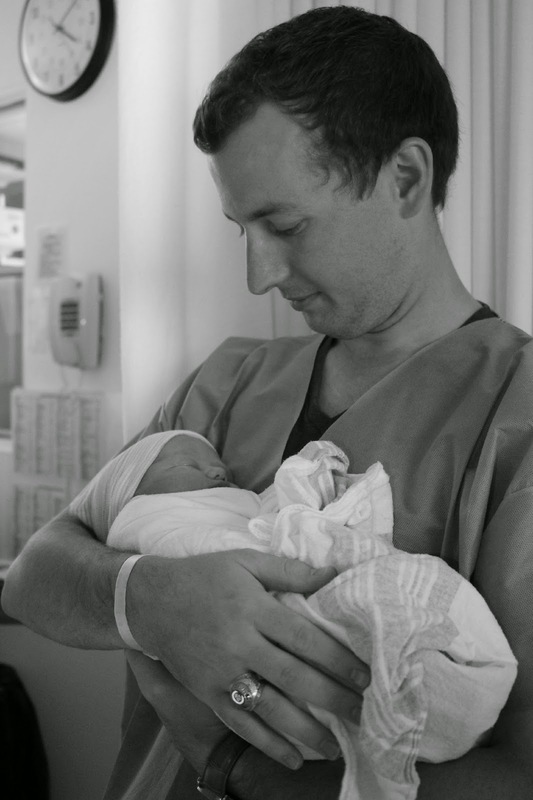 Until that moment, he had never held a baby so small and he was the first to change a diaper, learn the umbilical cord care and handle bottle feedings. While I wanted to snuggle my baby, I couldn't resist the magic that was unfolding in front of me. Watching the two people you love most in the world fall in love with each other is something that can never be topped. We had so many sweet friends come visit the baby on his first day of life. I honestly can't believe that we had only lived in Maine for one year at the time and had such a rag tag team of crazies who loved our babe from the start. I think the way I told Meg that I had given birth might be one of my favorites of the day. We were together the day before getting mani/pedis, shopping, gossiping and working and were supposed to meet the morning I had the baby for coffee. Around 7am I sent her a picture of the baby's face. No words, no phone call, nothing. 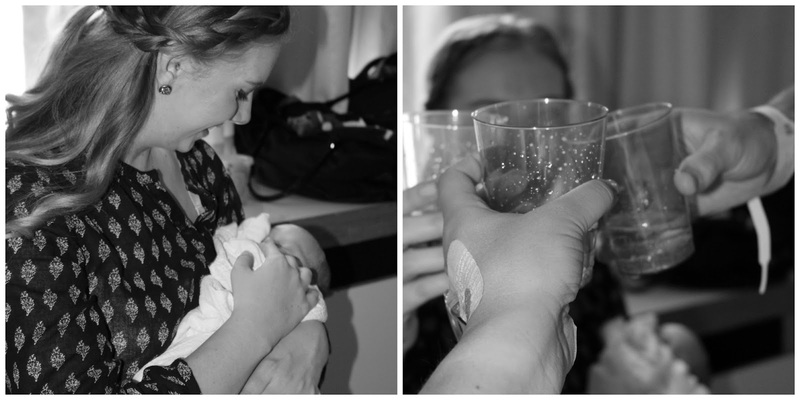 She was in my hospital room 2 hours later, champagne in hand, demanding to cuddle my boy. She still cuddles him extra hard when she sees him, and he lets her. I think he knows that she was the first friend to love on him. On his second day of life, my babe met my parents who flew in for a 4 hour visit from Virginia. I have never been so happy to see them in my life. And clearly, there is no love like grandparent love. 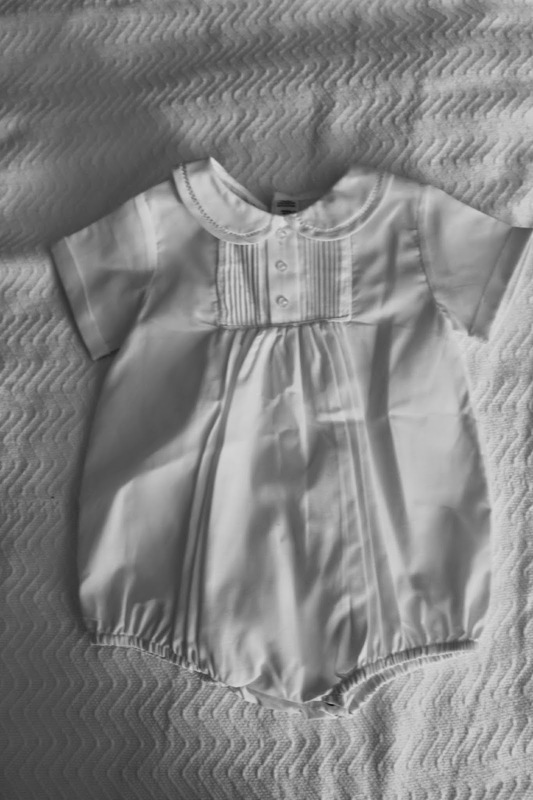 I bought this going home outfit when I was 13 weeks pregnant. We had just announced to the world that we were expecting and I just knew with everything inside of me that he was going to be a boy. I dreamed of the moment that I would get to put him in it. My wish for our son is that he finds what makes him happy in this world and chases it with enthusiasm and passion. My wish for my husband and myself is that we support him with equal enthusiasm and passion as he lives his most fulfilled life. And now I need an Ativan. This is such a sweet post Stephanie! I'm so glad your L&D was pretty smooth, you definitely earned it! 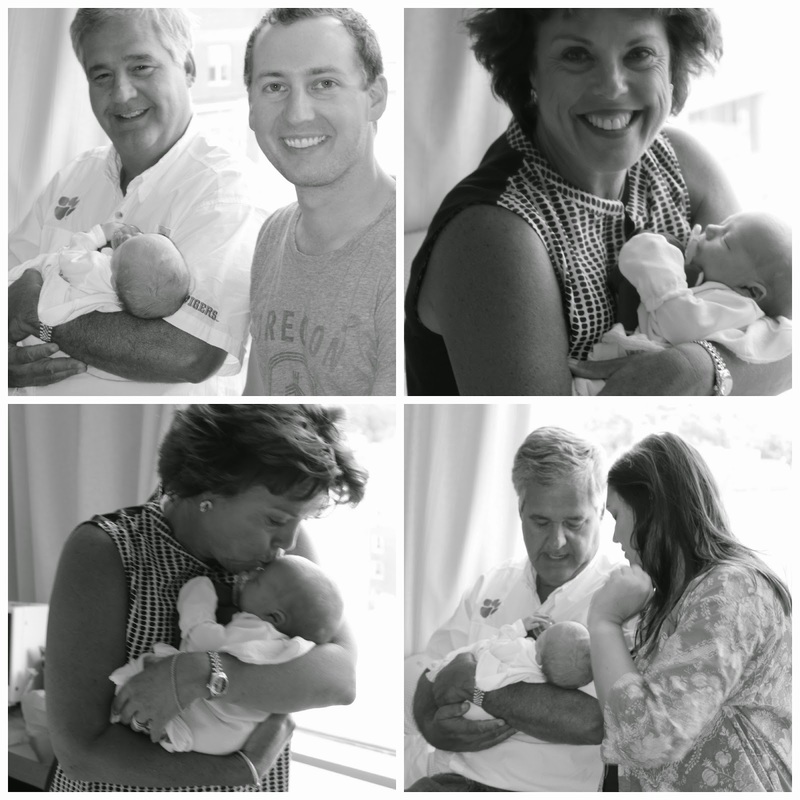 All of these photos are so precious, Gray is one lucky (and adorable) little guy! I'm in love with this post!! The black and white pictures, your writing, it's all amazing. And can I just say I'm totally going to be that girl who puts make up on before labor. All those pics being taken, you gotta look your best! This was a great post Stephanie! I can't wait to reference it when I get pregnant! Such an awesome way to deliver. I thought ours was quick but sounds like yours was even smoother. I agree- nothing like seeing them w the husbands!! This may be my favorite post to date. Funny, self-deprecating, and sweet... just like you! I accidentally almost cried while reading this. Precious! I just teared up at 8am, thank you. 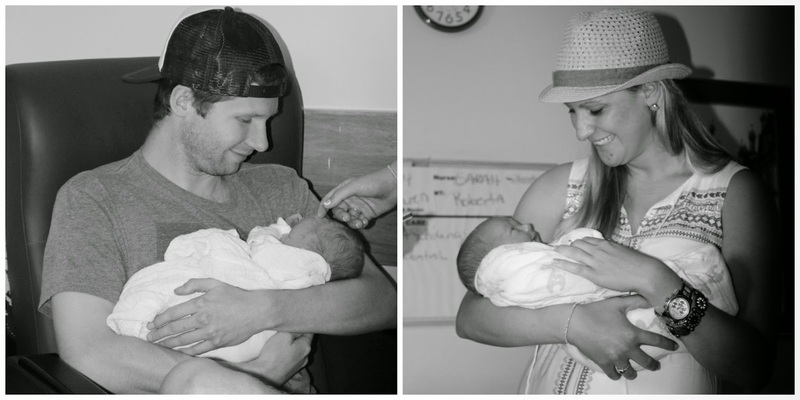 The sweetest birth story ever! !